Flying fish leap out of the water, propelled by rapid movements of their tail fin and glide a certain distance before gently dropping back into the water. During this airborne movement, the fish can reach a speed of 50 kilometers (31 miles) an hour. There is no difference between flying fish living today and those that lived about 100 million years ago. 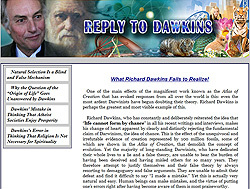 The species has not undergone the slightest change in all that time, which destroys all the claims of the evolutionists about the origins and history of living creatures. Scientific discoveries have shown that living things have not developed in evolutionary stages but were created by Almighty God. The sturgeons, of which only two families remain in existence, have always been sturgeons. They have neither developed from, nor turned into any other species. Fossil finds corroborate the fact that like all other creatures, sturgeons have never undergone any process of evolution. Horseshoe crabs belong to a subphylum of the arachnids calledChelicerata, and are more closely related to spiders and scorpions. 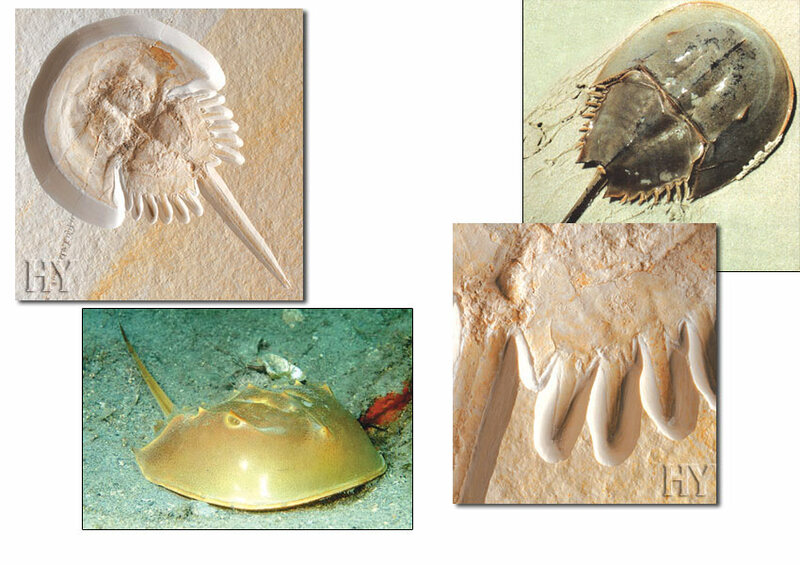 The 150-million-year-old fossil of a horseshoe crab shown here demonstrates once again that Creation is a fact and that the process of evolution never occurred. Stingrays are cartilaginous fish and live mostly on the sea floor. Their gills are on the bottom, or ventral side of their bodies and their eyes are on top. Their tail fins and dorsal fins are very small; on some species, they are absent altogether. 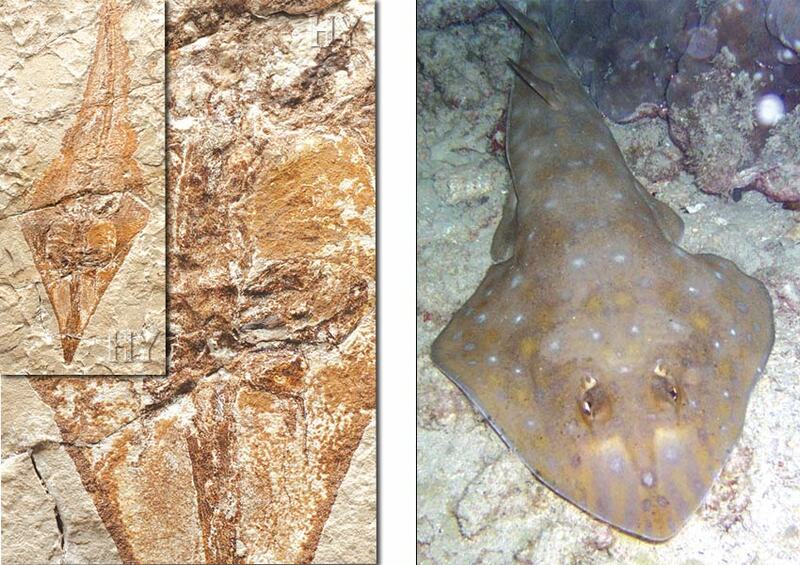 Stingrays that lived about 100 million years ago have the same characteristics as those still alive today. In all that time, they have not undergone any changes. 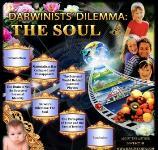 This suggests that evolution is an untenable theory. "Oyster" is a generic name given to a group of shelled mollusks that live in the ocean, feeding on plankton which they filter through their gills.The shells containing high levels of calcium are generally fossilized easily. 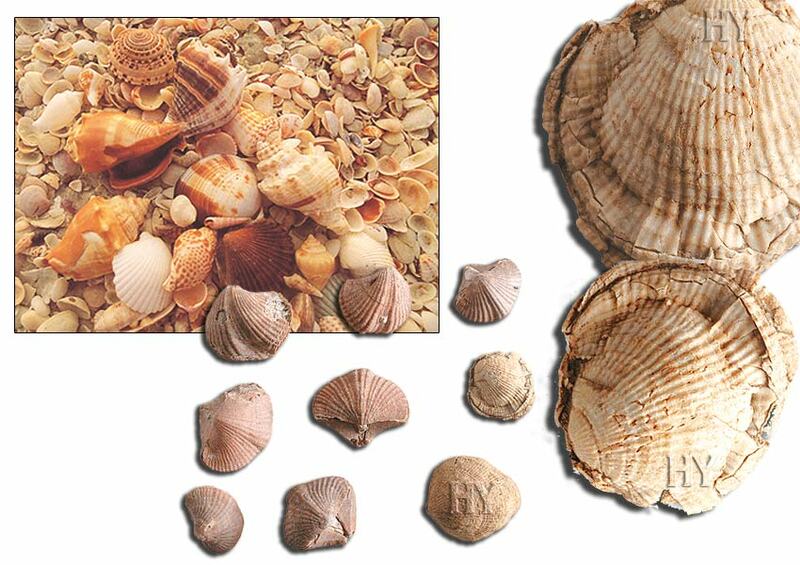 The oldest known oyster fossil comes from the Ordovician period (490 to 443 million years ago). Despite the approximately half a million years that have passed since then, oysters have not changed. Those oysters that lived 490 million years ago or 150 million years ago are no different from those alive today. This fact completely nullifies the claims of evolution that creatures evolved in stages, in a succession of tiny changes. 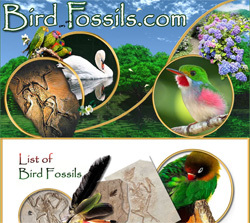 The fossil record shows that creatures have not gone through any process of evolution and that Almighty God created them. 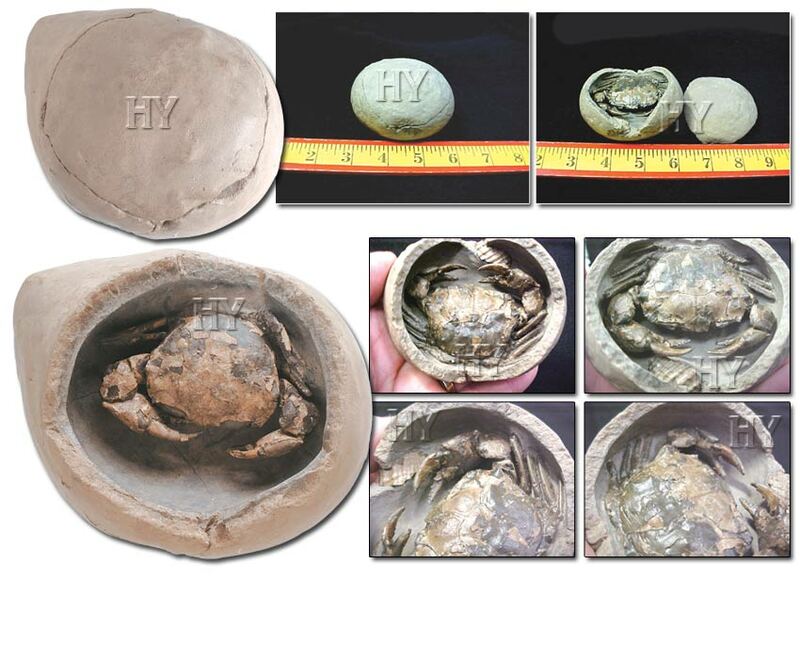 This crab fossil was found in Denmark on the Limfjords coast. This type of fossil is quite commonly found in this area. Preserved in nodules, they usually emerge to the surface in winter or after periods of heavy rain. The rounded stones are split open to discover whether they contain fossils. 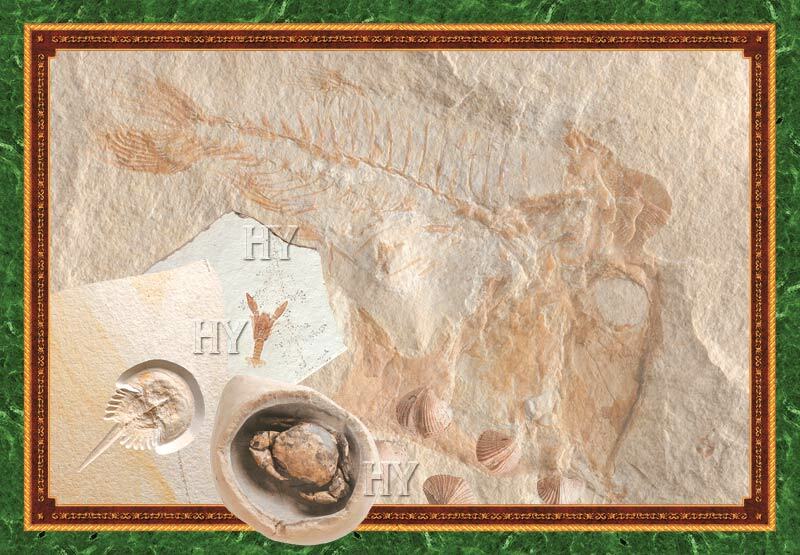 If a fossil is found, it is prepared for exhibition using files and other tools. 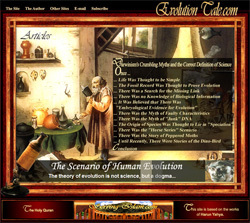 The fossil record is rich enough to permit a general comprehension of the origin of living things and provides us with a definite scenario: Various species of living creatures appeared on Earth all at once, individually and without "evolving" through any intermediate forms. 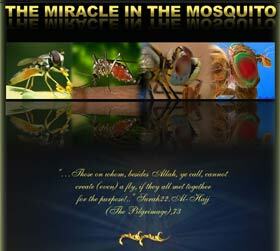 This is one of the proofs that Almighty God created all living creatures. 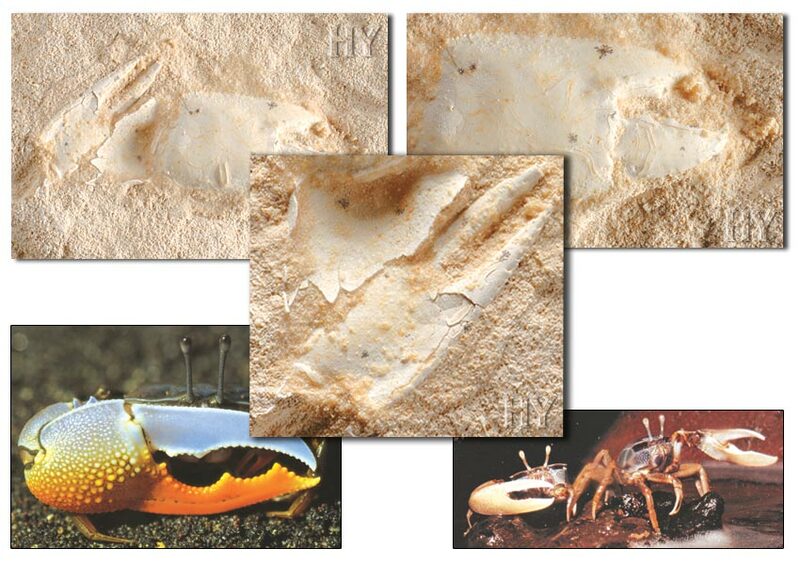 One of these fossils that demonstrates the clear fact of creation is shown here: the nearly 35-million-year-old remains of a crab. 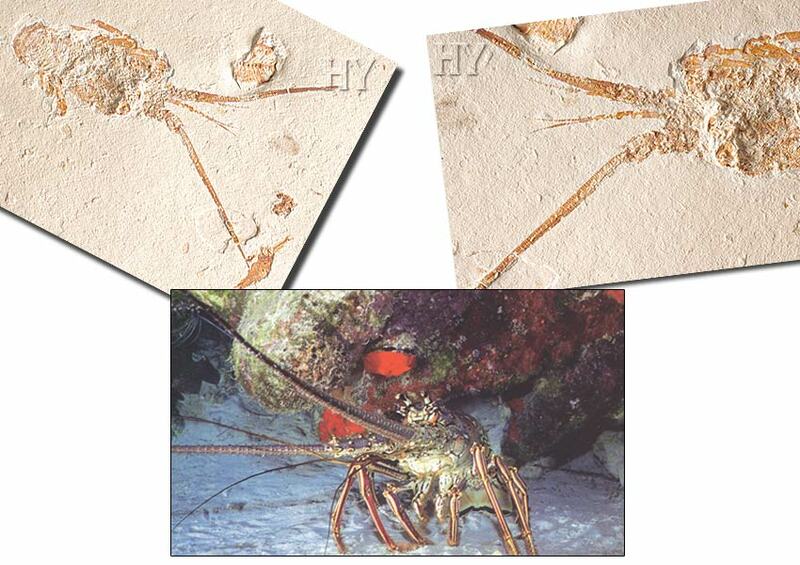 This fossil demonstrates that there is no structural difference between crabs alive today and those alive roughly 35 million years ago, again proving the invalidity of evolutionist claims. If a creature has not undergone the slightest change in tens of millions of years, it is impossible to speak about the evolution of living things. 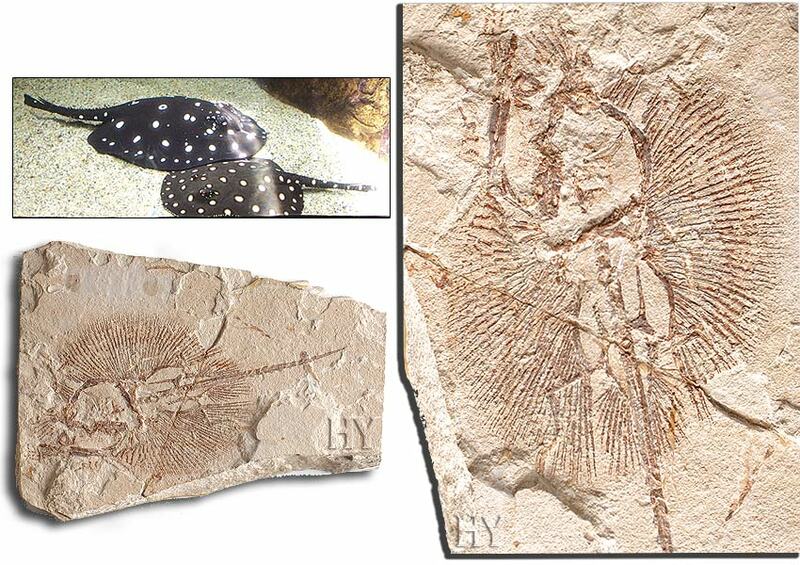 In this specimen we see a thorny stingray of the Dasyatidae family and a herring fossilized together. 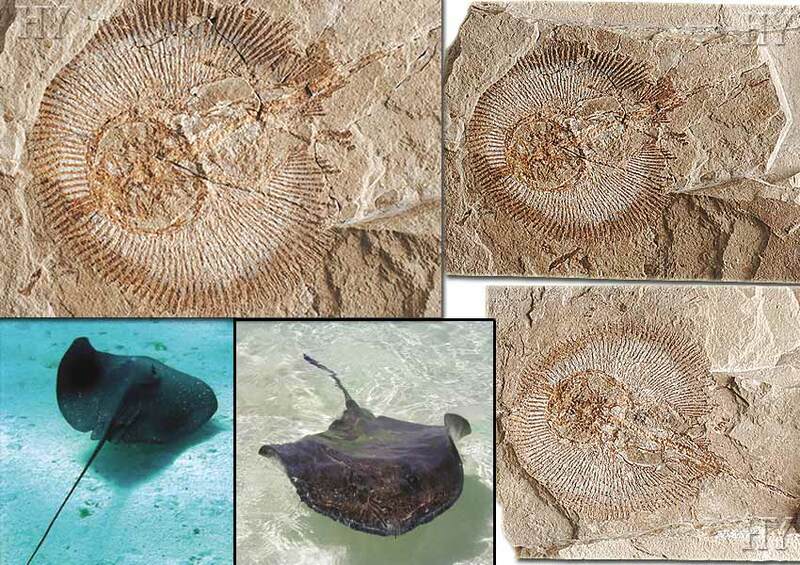 These fossils show that modern-day thorny stingrays and herrings are no different from the ones that swam tens of millions of years ago; they are among the countless proofs that invalidate the theory of evolution. 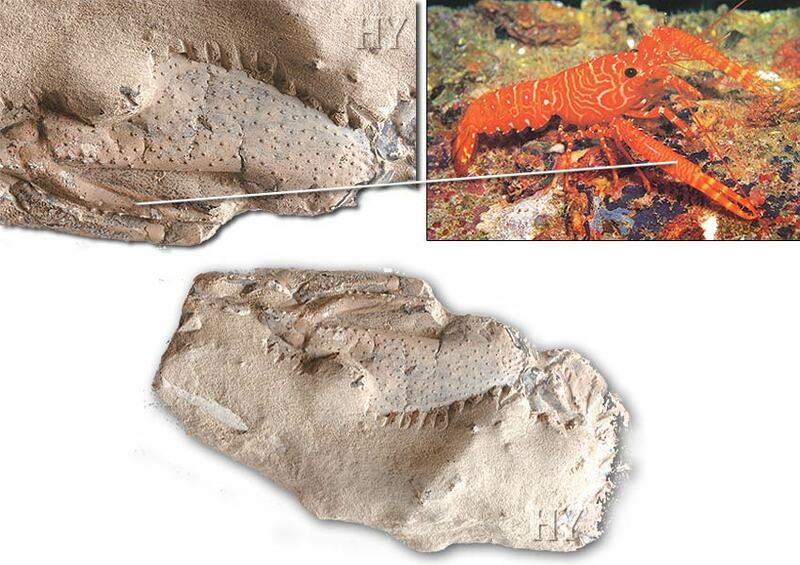 There is no difference between this lobster, which lived tens of millions of years ago, and those that are still alive today. This deals a devastating blow to the theory of evolution. The fossil pictured here of a lobster from the Cretaceous period (between 144 and 65 million years ago) proves that the claims of evolutionists with regard to natural history are completely untenable. Creatures did not evolve; they are created by God, Lord of the worlds. 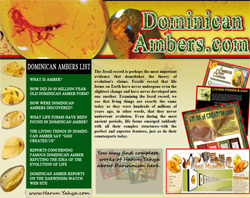 Paleontology has provided numerous proofs that creatures did not evolve but were created by God. 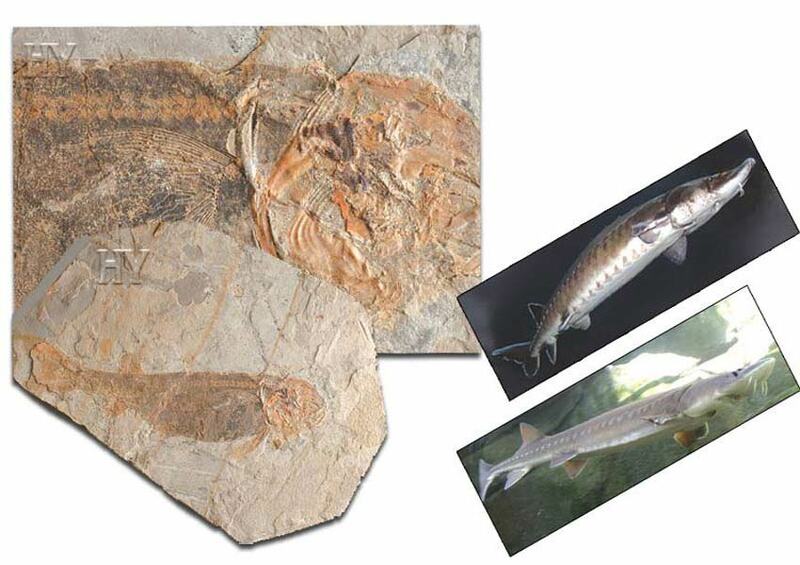 One of these proofs is this 95-million-year-old fossilized guitar fish. 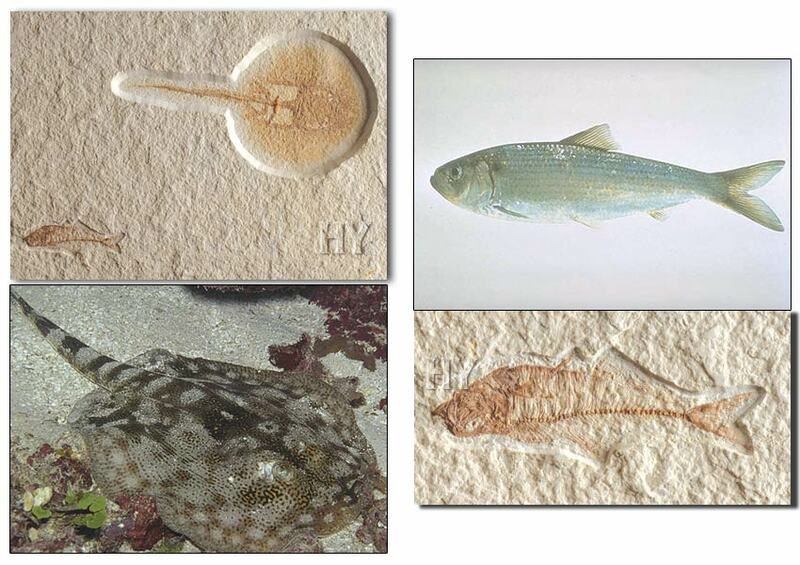 These fish live in tropical and subtropical waters and have not changed in about 100 million years. Darwinists can give no scientific explanation for a fossil like this, which shows that it did not undergo any process of evolution. Today's guitar fish are no different from those that lived approximately 100 million years ago—which once again underlines the fact of God's Creation. 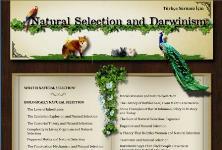 The lack of any intermediate forms in the fossil record completely undermines the theory of evolution. After years of digging and explorations, not even one fossil has been found to indicate that any primitive, incomplete creature with half-developed organs ever existed. 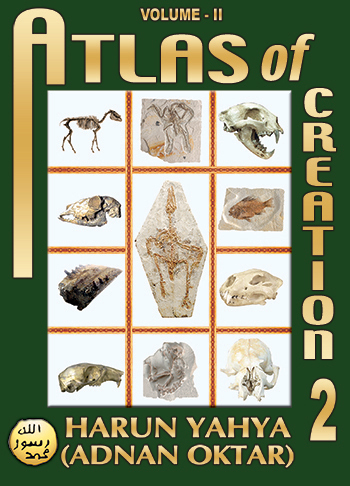 All fossils discovered to date show that all the characteristics of the species in question came to be in complete form and at the same time; that is, that they were created. 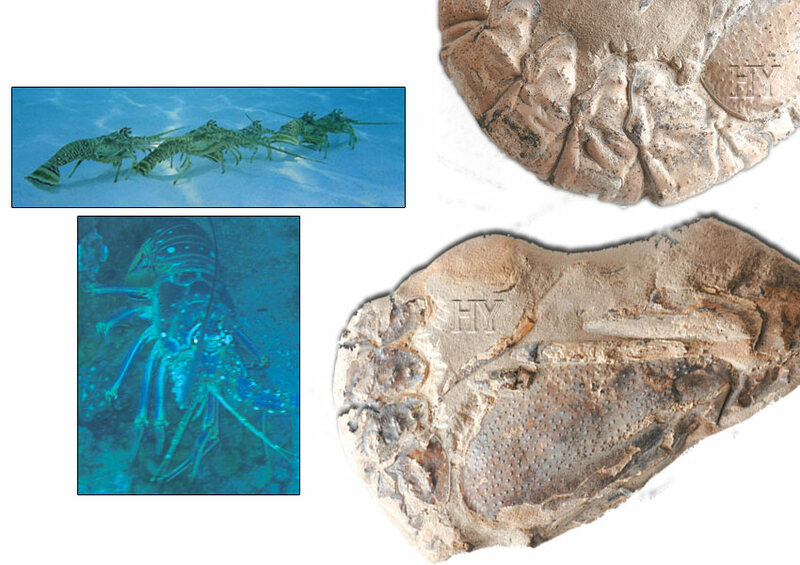 One of these many examples is a lobster that lived between 144 and 65 million years ago. Evolutionists claim that fish evolved from invertebrate sea creatures; amphibians and present-day fish from one supposedly "ancestral" fish. 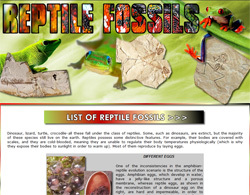 Reptiles in turn arose from amphibians; birds and mammals developed independently from reptiles. 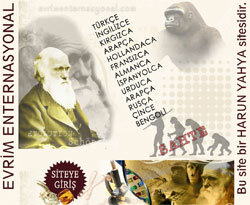 And, finally, apes and human beings evolved from a common ancestor, now extinct. In order to prove these claims scientifically, it is necessary to find intermediate forms to show the transitional changes between one of these "former" species and their more recent counterparts. But as mentioned earlier, there is no trace of these imaginary creatures. On the contrary, all present-day species have the same characteristics that they possessed millions of years ago. 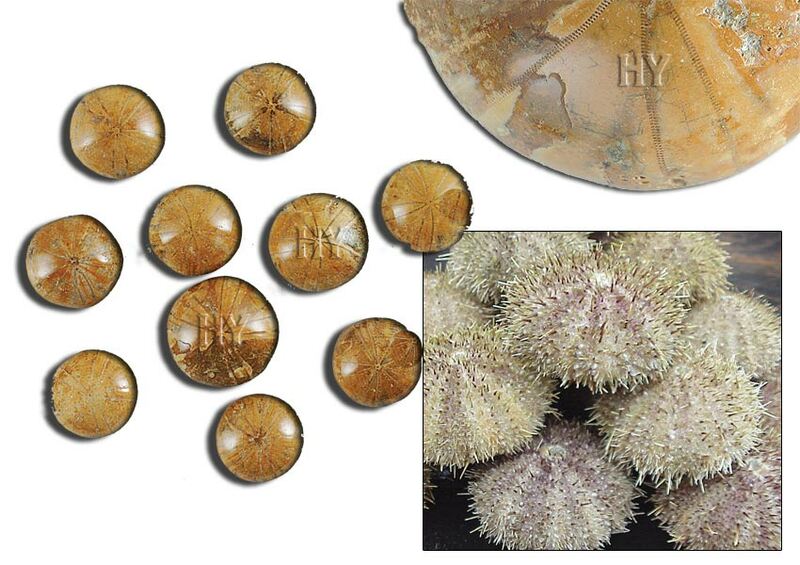 This 150-million-year-old sea urchin is just one of the hundreds of thousands of fossils that prove this. 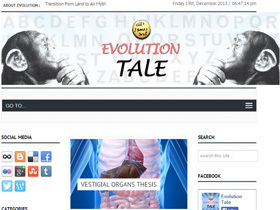 At every turn, the fossil record clearly contradicts the theory of evolution. Crabs are members of the Decapoda (10-legged) order of the phylum of Crustacean. Crabs have existed unchanged for millions of years, and therefore they are one of the living beings disproving the story of evolution. The fossilized crab pictured here is 70 million years old and displays the same physiological characteristics as crabs that are alive today. Crabs have not changed in 70 million years' time which disproves the theory of evolution's claim that living species evolved from one another over millions of years. 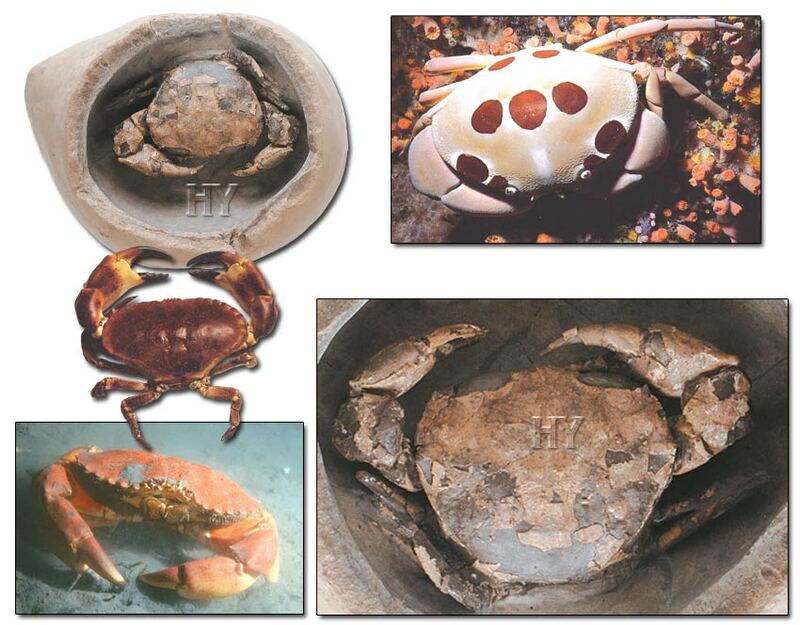 This and similar fossils prove the fact that crabs did not evolve but were created by Almighty God. Bowfins today live mostly in South America. 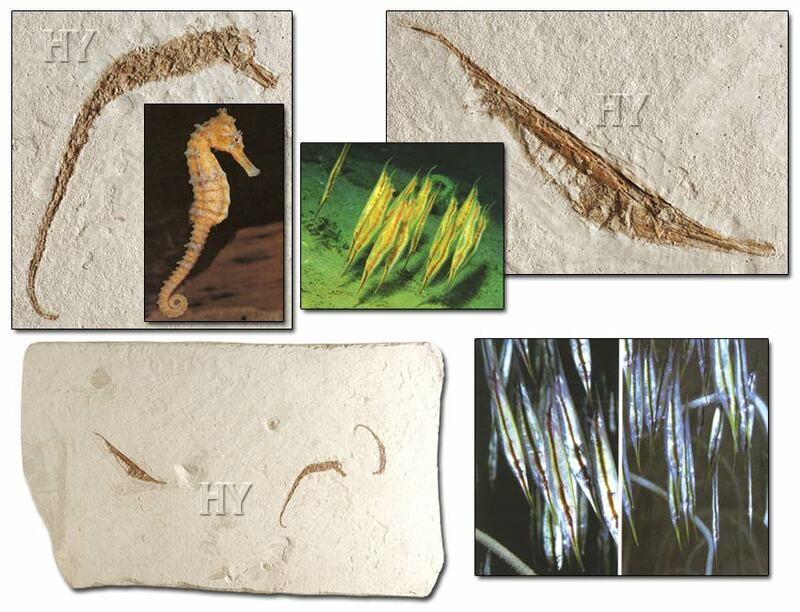 They belong to the class of Actinopterygii and have not changed in millions of years. 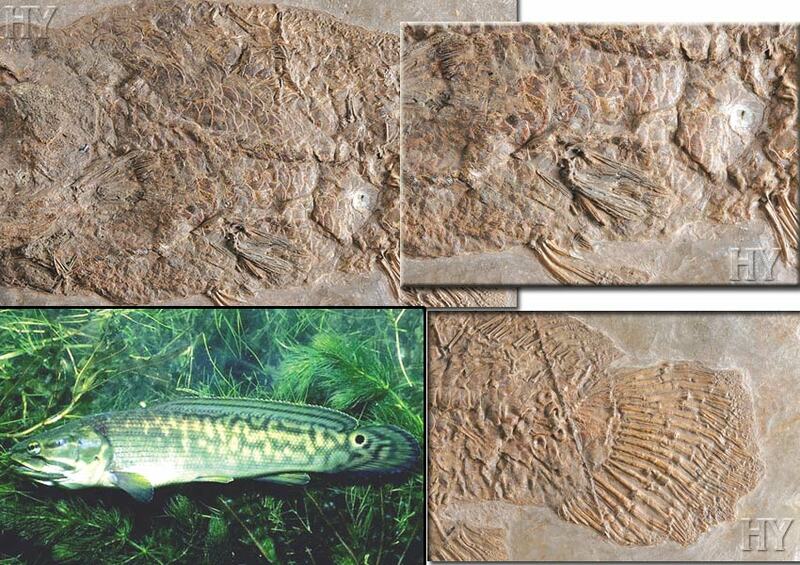 They also belong to the superorder of Holostei (bony fish), and many fossils have been discovered. 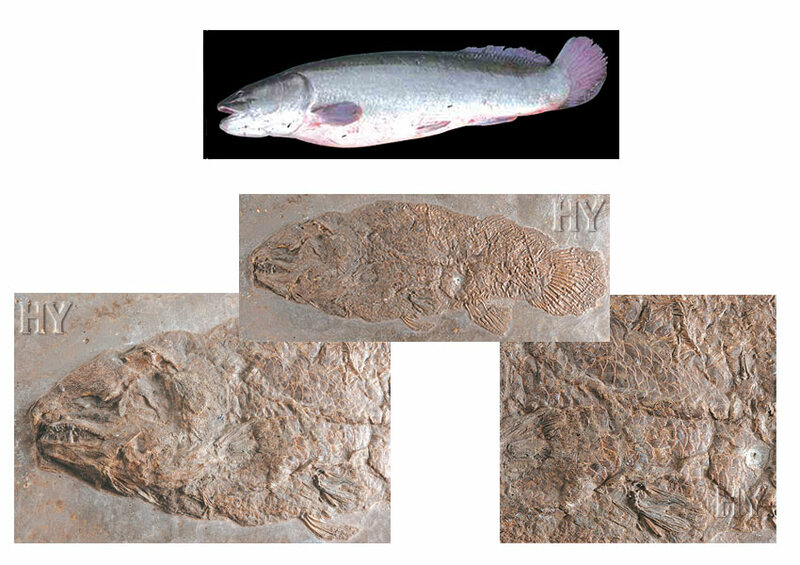 These fossils show all the characteristics of present-day bowfin and evidence that they have undergone no change at all over tens of millions of years. This demonstrates that these creatures did not evolve from any previous species, but were created in their present form by the supreme power and intelligence of God. This fossil bowfin from the Eocene epoch, with its structure unchanged over tens of millions of years, challenges the theory of evolution. The upper jaws of these fish project outward and have sharp protrusions on either side. For this reason, they are called sawfish. 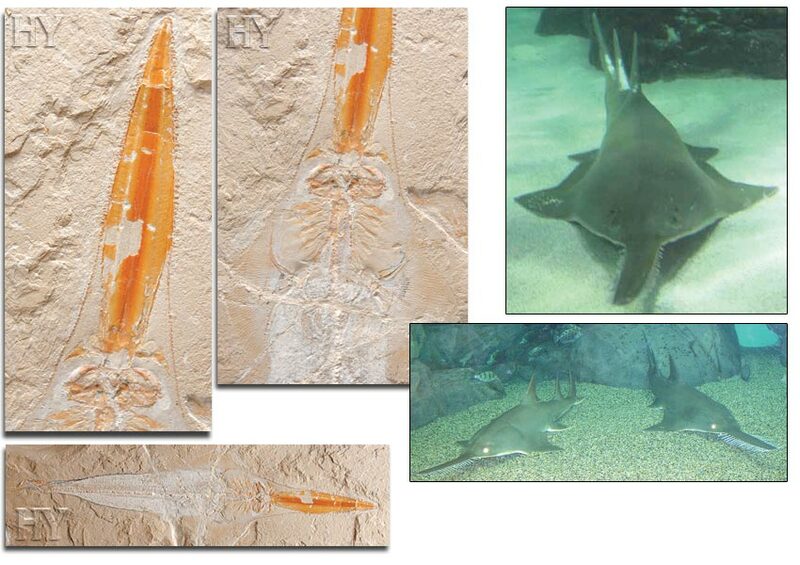 All fossilized sawfish in the fossil record are identical to their counterparts alive today. 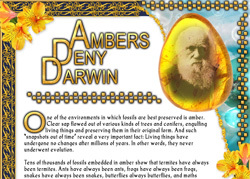 This sameness has persisted for about 100 million years proving that Darwinists' hypothetical claims are invalid and that evolution never occurred. The stingray fossil pictured here is 95 million years old, and there is no difference between it and stingrays living today. This physiological stability throughout 95 million years demonstrates clearly that these living things did not evolve from an earlier, primitive form to a more advanced one. 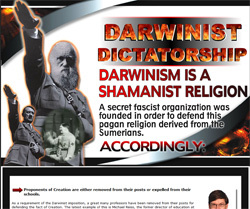 Any claim that they did is wrong; and concrete discoveries and scientific investigations have invalidated this claim. 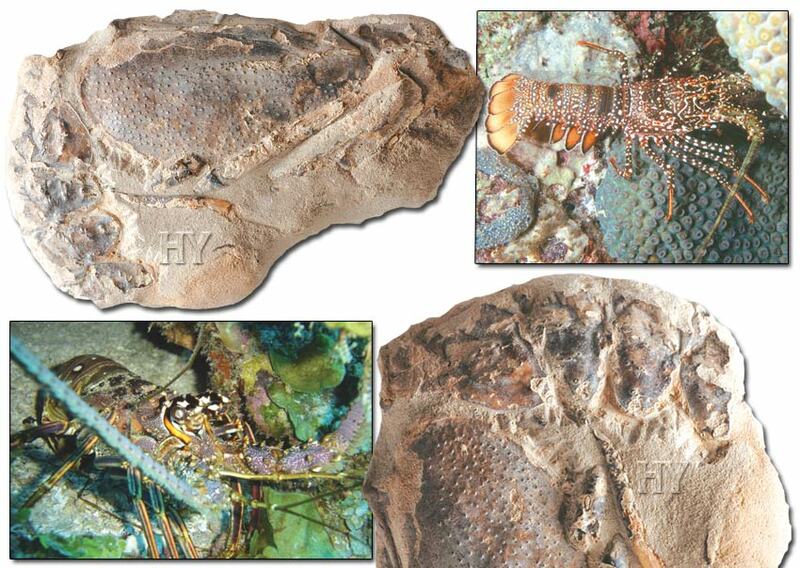 This fossil lobster, 95 million years old, possesses the same physical structure as lobsters today. Some lobsters display migratory behaviors that are very interesting. In the course of such migrations, lobsters line up so that each one can touch the one in front of it. In this way, a convoy of between 50 and 60 lobsters is formed and moves along the ocean floor day and night for several days. Migrating in a line enhances the lobsters' ability to move. The resistance encountered by a lobster advancing through the sea water individually is halved when another lobster is moving in front of it. (The same principle is exploited by modern-day trucks and race cars.) Because of this linear movement, lobsters can cover more distance in less time, while expending less energy. Some species have been observed to travel as much as one kilometer in an hour. 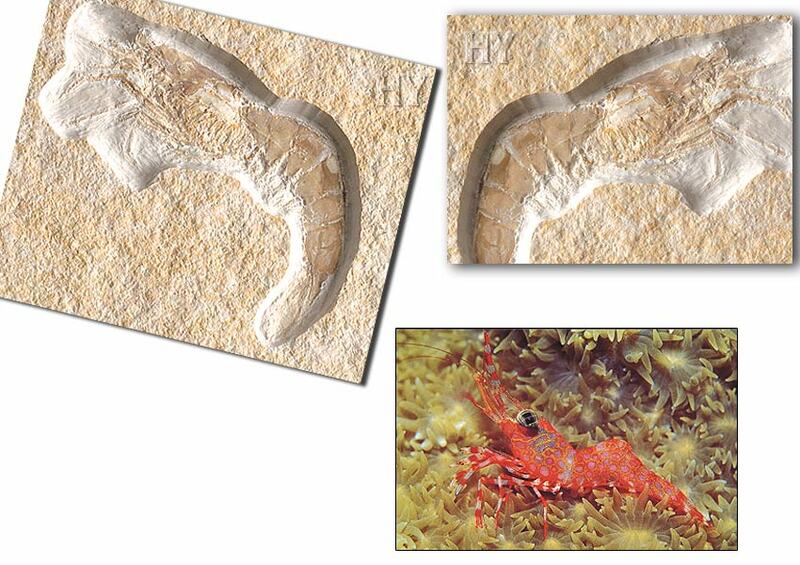 The lobster fossil pictured here, between 144 and 65 million years, reveals once again that the theory of evolution is nonsense. Lobsters have existed for tens of millions of years without change, disproving the Darwinists' claim that living creatures have developed from a supposed primitive state into more advanced forms. Friar's Bay in East Sussex (left) is a rich source where many fossils have been found—mostly ammonites and many other marine creatures with shells. The picture below shows fossil investigation being done in the area. 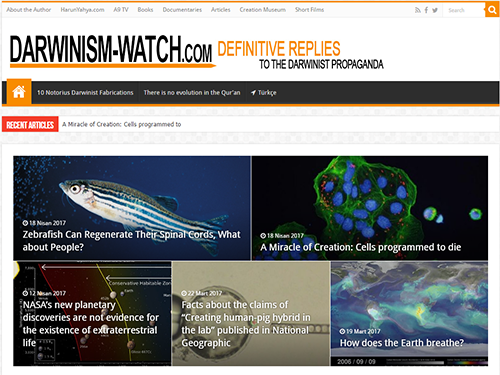 Fosil bulguları Darwinizm'e öldürücü darbe indirmiştir. Canlıların milyonlarca yıldır hiç değişmediklerinin ispatı olan bu bulgular karşısında Darwinistlerin verebileceği tek bir bilimsel ve akılcı cevap yoktur. Sea urchins have been alive for about 300 million years, but they have not changed or undergone any process of evolution in all that time. The fossil shown here is 150 million years old. A marine invertebrate, sea urchins have soft bodies encased in a thin shell covered with the spines that protect them from their enemies. They can move these spines; on some species, they are poisonous and reach a length of 30 centimeters (11.8 in). Tube feet protruding from the bodies of sea urchins adhere to rocks so that they can move comfortably along the ocean floor. 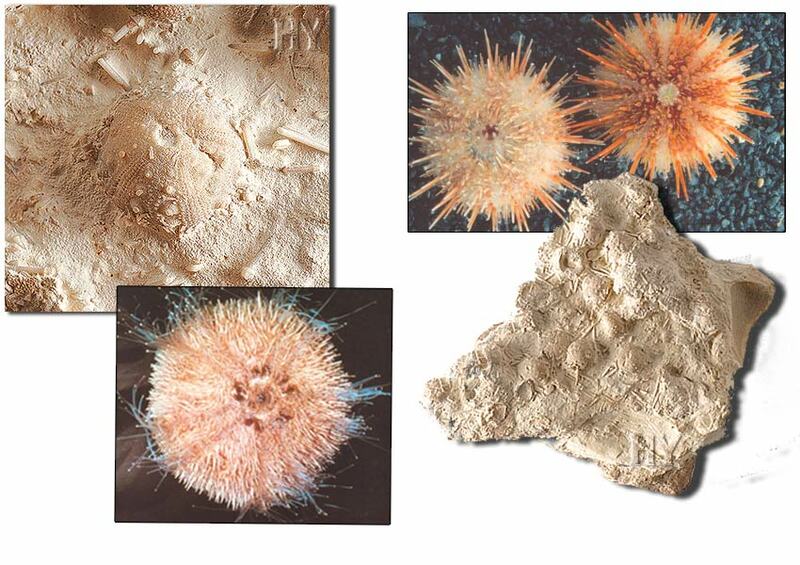 Fossil discoveries show that sea urchins have possessed all these characteristics since the first moment they came into being and that they have undergone no change at all throughout that time. The explanation is clear: As with other creatures, sea urchins did not evolve, but were created complete with all their characteristics.